Xiaomi launched Redmi 6A, Redmi 6, Redmi 6 Pro in India. Now Redmi 6 Series is available in Offline Stores in India. Mi Home price will be the same as Online Price other Xiaomi Preferred Partner Stores price will be higher. 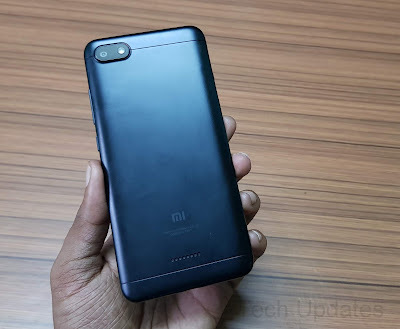 Redmi 6A 16GB cost Rs 6899, 32GB cost Rs 7799.Xiaomi Redmi 6 cost Rs 8799 for 32GB Storage and Rs 9999 for 64GB Storage.Xiaomi Redmi 6 Pro cost Rs 11499 for 3GB RAM and Rs 13499 for 4GB RAM. Xiaomi Redmi 6 Pro comes with Metal body. It has a 5.84-inch (2280×1080 pixels) Full HD+ 19:9 Display powered by Octa-Core Snapdragon 625 processor with 3/4GB of RAM and 32/64GB of internal storage. Address: Unit No S16,IIND FLOOR,VR Mall, #44,Pillaiyar Koil Street, Annanagar, Chennai, TamilNadu - 600040.